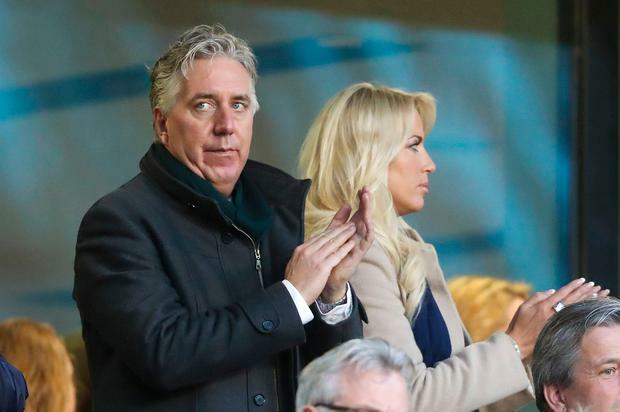 The process for John Delaney’s departure from the FAI is expected to be confirmed today – as board members scramble to answer critics amid threats to €15m in funding. Sports Minister Shane Ross heaped further misery on the beleaguered association as he warned it may not be eligible for new large capital sports grants – worth more than €15m – unless it gets its house in order. It is believed that members of the FAI board are furious with Mr Delaney’s messages to his backers as it suggests that he is taking the lead on his imminent exit – when the main voices on the decision-making body now want him to go. But the Abbotstown authorities have also spent the weekend formulating its latest response to Sport Ireland ahead of John Treacy’s return to the Oireachtas Committee tomorrow along with Mr Ross. The Sports Minister has told the FAI it will not be eligible for new capital sports grants unless it provides answers to Sport Ireland questions around corporate governance arising from Mr Delaney’s €100,000 loan to the association in 2017. Last night, the FAI released a statement which said it would have replies ready and it had noted comments from Mr Ross and Oireachtas Committee chair Fergus O’Dowd about its silence. “The FAI is engaging with Sport Ireland on the composition of a new governance committee with additional independent members and the appointment of an independent person to the committee of the board examining the current issues,” said the statement. In the statement, the FAI confirmed its meeting today – which will also deal with how to handle the complexities of Mr Delaney’s exit. Mr Delaney is confident that he will retain his €160,000-a-year role on the Uefa Executive Committee and European football’s governing body has confirmed a member can “technically” stay on if they are not involved with their national association. Germany’s Reinhard Grindel stood down from the Uefa committee last week after leaving his own association due to allegations of undeclared earnings. It was reported in Germany that he initially believed he could retain his role with Uefa as he does not have to stand for re-election until 2021. Uefa has said it is “aware” of developments in Ireland but has refused to provide answers to specific queries on Mr Delaney.